Democrat Joshua Baker served as military governor of Louisiana from January to July 1868. 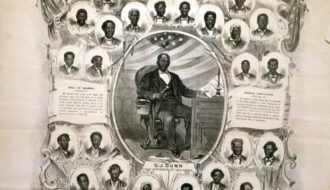 Appointed rather than elected, Baker primarily acted as a spokesman for Union authorities who exercised military rule over Reconstruction-era Louisiana. Opposed to secession before the war began, Baker shared President Andrew Johnson’s lenient Reconstruction policies. Baker often followed the orders of General Winfield Scott Hancock, who oversaw the Fifth Military District, encompassing Texas and Louisiana. Because of this status and the brevity of his term, Baker’s influence on Louisiana was relatively minimal. Born in Mason County, Kentucky, on March 23, 1799, Joshua Baker was the son of Colonel Joshua G. Baker (1763-1816), a member of the Mississippi Territory’s legislative council, and Susannah Lewis (1768-1813). In 1810 Baker’s family moved to St. Mary Parish in Louisiana. He graduated from the U. S. Military Academy at West Point in 1819 and then studied law at Litchfield, Connecticut, in the 1820s. He was later admitted to the bar in Kentucky and Louisiana. He returned to Louisiana ca. 1820 and became an engineer and builder. Baker’s first wife, Frances Asheton “Fanny” Stille (1809-1831) of Natchez, Mississippi, was the daughter of Captain James Stille and Margaret Cyrilla Watts, the widow of former governor Manuel Gayoso de Lemos. On December 22, 1832, Baker married his second wife, Catherine F. Pullon. Baker served as a judge in St. Mary Parish from 1829 to 1832. He built the St. Mary Parish courthouse in 1850, and later served in the state senate and on the State Board of Public Works. He opposed secession when the issue came before the Louisiana state legislature in 1861. Though elected to Congress from Union-occupied Louisiana in November 1863, Baker refused to travel to Washington to take his seat. General Winfield Scott Hancock appointed Baker military governor in 1868, after the previous governor, Benjamin Flanders, resigned from office. Shortly after taking office, Baker notified Hancock that the state government was bankrupt, prompting the latter to take stringent measures to account for all state funds. Under the Military Reconstruction Acts of 1867, Baker’s orders could be reversed by the military. After he removed nine New Orleans City Councilmen from office, Ulysses Grant, General-in-Chief of the U.S. Army, cancelled Baker’s action, in spite of Hancock’s support. Baker resigned and was succeeded by Henry Clay Warmouth on July 13, 1868. In 1875, Baker became assistant state engineer. He subsequently suffered financial reverses and retired to his daughter’s home in Lyme, Connecticut, where he died on April 15, 1885. 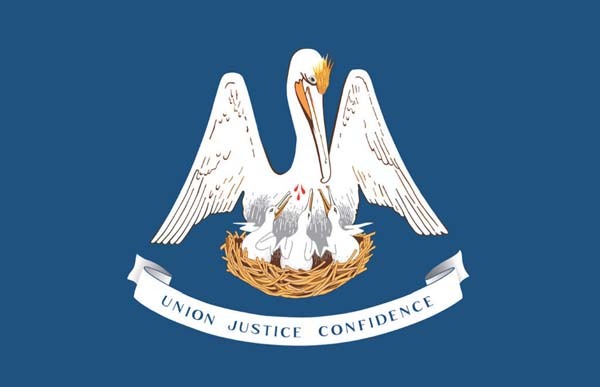 This entry was adapted from the Dictionary of Louisiana Biography, a publication of the Louisiana Historical Association in cooperation with the Center for Louisiana Studies at the University of Louisiana, Lafayette. Sources: Alcée Fortier, ed., Louisiana: Comprising Sketches of Counties, Towns, Events, Institutions, and Persons, Arranged in Cyclopedia Form, 2 vols. (1909); Joseph G. Dawson III, Army Generals and Reconstruction: Louisiana, 1862-1877 (1982); Walter Prichard, Fred B. Kniffen and Clair A. Brown, eds., “Southern Louisiana and Southern Alabama in 1819: The Journal of James Leander Cathcart,” Louisiana Historical Quarterly, XXVIII (1945); Hazel C. Sockrider, “Extracts from the Attakapas Gazette,” Attakapas Gazette, IV (1969); Goodspeed Publishing Co., Biographical and Historical Memoirs of Louisiana, 2 vols. 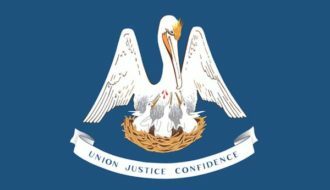 (1892); James Haskins, Pinckney Benton Stewart Pinchback (1973); Willie Malvin Caskey, Secession and Restoration of Louisiana (1938); Carl A. Brasseaux, Glenn R. Conrad, and R. Warren Robison, The Courthouses of Louisiana, 2nd ed. (1980); Donald J. Hebert, comp., Southwest Louisiana Records, vols. I-IV; Mary Elizabeth Sanders, Records of Attakapas District, Louisiana, vol. 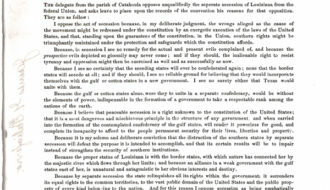 II; Mary Elizabeth Sanders, Selected Annotated Abstracts of St. Mary Parish Louisiana Court Records, vols. I-III (1972, 1973, 1978); Jack D. L. Holmes, Gayoso: The Life of a Spanish Governor in the Mississippi , 1789-1799 (1965). Adams, William H. "Joshua Baker." In https://64parishes.org Encyclopedia of Louisiana, edited by David Johnson. Louisiana Endowment for the Humanities, 2010–. Article published July 11, 2011. https://64parishes.org/entry/joshua-baker.